Whether setting out on your first hike or already an accomplished mountaineer there are definitely some quirks unique to hiking in the Japanese mountains. This was especially so coming from an Australian hiking perspective where avoiding bears and deciphering signs in a foreign language are furthest from your mind. Needless to say, getting acquainted with the lay of the land presented a challenge or two, along with dressing for the colder weather and importantly working out a way to the trailhead without a car. 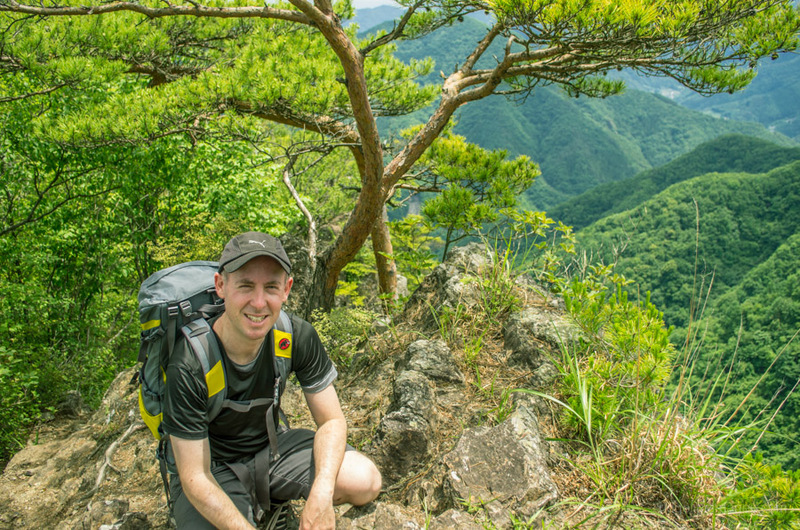 The following twenty five entries – a culmination of my experiences hiking in Japan – hope to provide a guiding hand to help you get the most out of your next hiking adventure. The old adage to follow a river downstream if lost doesn’t roll well in the Japanese Alps. Due to the micro texture and precipitous valley slopes means venturing too far from the trail often leads to disastrous consequences. The safest thing to do is remain calm and retrace your steps back to familiar surroundings. Public enemy number one out on the trail (excluding bear bells) comes in the form of a large winged though usually non aggressive Japanese giant hornet or suzumebachi which fiercely guard their nests during the breeding season. Staggeringly, up to 40 deaths a year in Japan are attributable to hornet stings. Hiking up craggy mountain trails are greatly aided through a labyrinth of judiciously positioned ladders and chains, even if a disconcerting number look like they were anchored during the last ice age. Yamareco is Japan’s answer to EveryTrail and thanks to a dedicated community of outdoor enthusiasts who photograph and record their adventures, means the latest trail conditions are only a Google Translate click away. Whilst some including the authors of Lonely Planet’s – Hiking in Japan guide may disagree, water originating from high mountains streams is generally safe to drink. In higher trafficked areas or when in doubt err on the side of caution and boil your water or use a Giardia rated filter system. The predominant age cohort of hikers in Japan are the 65-plus which makes sense as they now outnumber those aged 15 years and under. These grey nomads of the mountains are affectionately referred to as mainichi ga nichiyoubi where for all intents and purposes every day is Sunday. While surveyor’s tape tied to trees might look a tad unsightly it’s a godsend navigating the direction of a trail through forested wilderness. In Japan the colour used is almost universally “hot pink” though sometimes white or blue ribbon is used to identify a specific trail. If a quick reminisce to your school camp days triggers haunting flashbacks of mess halls, set meal times and lights out, then mountain lodges probably aren’t your thing. Similarly if you prefer not being squashed like a proverbial sardine while surrounded by a troupe of heavy snorers, carry a tent. Not to belittle Kyuya Fukada and his 100 Famous Japanese Mountains, there are many other peaks deserving of the same accolade minus the crowds.‎ When Fukada’s book Nihon Hyakumeizan was released in 1964, even he conceded that he might have changed a mountain or two if the book were reprinted. One omnipresent evil which quickly wears out its welcome are folk intent on wearing bear bells even on busy trails. These individuals can be hard to slip so best advice is to hotfoot it once you have one on your heels. Apart from Hokkaido where bears are relatively common a better bet is to make some noise to thwart any impending encounters. It goes without saying really, but save the popular mountains for mid-week jaunts unless you want feel like you’re reliving a commute through Shinjuku Station. With a little forward planning, it’s even possible to go an entire day or days without knocking into another hiker. Japanese hikers make early starts and by that I mean, if you haven’t packed up and eaten breakfast by 6am it’s likely that you’ll have your work cut out scouting for tent space at the next campsite. 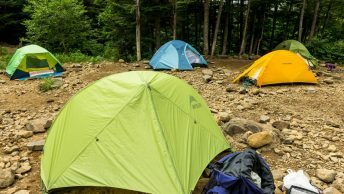 Most hikers cling to the idea, that the weather is better in the morning than in the afternoon, even if the rain storm buffeting your tent at daybreak tells you differently. A relatively new phenomenon is the rise of the young female hiker, known colloquially as a Yama girl (mountain girl). Many Yama girls are urban women who enjoy outdoor activities and can be often spotted kitted out in the latest Montbell fashions. 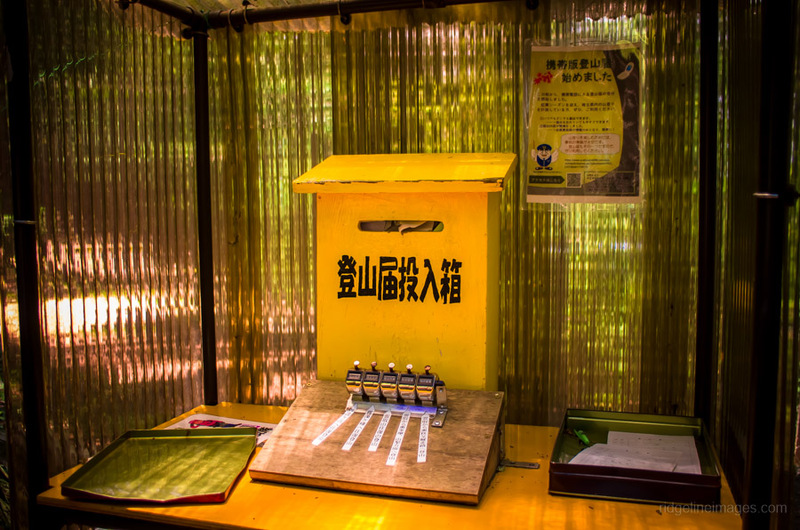 Many hiking trails have a tozan posuto box located at the trailhead where you can register your name, date and intentions. While these boxes look like they haven’t been checked in months which is probably the case, they may assist authorities in an emergency. In recent years there have been several well documented cases of foreigners losing their way and to avoid financial ruin in the aftermath consider a comprehensive search and rescue insurance policy. At some popular locations such as Kamikochi, insurance (hoken) can be purchased for 1,000 yen per person per day. For longer term stayers try jRO (Japan Rescue Organization LLC). Learning kanji doesn’t come easy for most of us so a good option is to specialise in a particular interest. While maps, signs and trail markers occasionally include English translations the vast majority don’t. Eking out a good smattering of hiking kanji won’t go to waste and likely make your life easier especially when relying on your own intuitions. Day to day small chat isn’t usually a strength of the Japanese however the mountains seem to open people up with plenty of aisatsu (greetings) when passing and hearty cries of encouragement battling up steep climbs. Exchanging contact details after a short conversation is also done a lot more than you would think. As magnificent as the Japanese mountains are, deciding to soldier on in the face of worsening weather is foolhardy at best. Better is to put pride aside and pay heed to the changeable mountain conditions. The same goes during the early winter where the daylight hours quickly fade in the late afternoon. For the latest mountain forecasts checkout mountain-forecast and tenki to kurasu. In an era of gender equality it’s incredible that a Japanese mountain remains the sole domain of men. Mount Omine in Nara Prefecture officially prohibits women from climbing its lofty peak on the basis that menstruation and childbirth are linked to Shinto concepts of impurity. 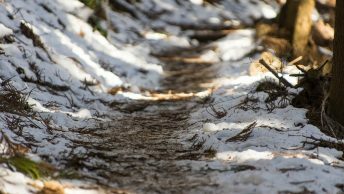 The popular Shobunsha Yama-to-Kogen map series does a great job of highlighting the main hiking drags though many more trails aren’t indicated. While some pass through private property others provide short cuts or make a nice diversion away from the masses. Tokyo and in fact most of Japan is unbearably hot during summer and if you think that heading to higher ground might help you’re out of luck. Mountains under the 2,000 meter ceiling can be just as stifling as the city fringes with the combined effects of heat and humidity leaving you wishing you hadn’t bothered. Like a precision timepiece, Japanese cedar trees (sugi) start releasing their hay fever inducing spores in early February. For those of us unfortunate enough to suffer its effects makes any short excursion outdoor, let alone the mountains, a tale of grim misery. Without access to a world class public transport network which includes bus routes often running close to the trailhead most of the hikes undertaken on this site would be near impossible. Planning for good train / bus connections is advisable as many less travelled destinations may only run one morning bus service. While most supervised huts will set you back a lazy 6,000 yen ($50 USD) just to rest your head for the night, there are plenty of free ones ranging from antiquated to newly built to save you some coin. Carrying knives in Japan with a blade length over 6 cm without justifiable reasons are prohibited and subject to stiff penalties including being detained. Whether heading out for a leisurely day hike fulfils this criteria is anyone’s guess. Nice! Didn’t realize that there was so much spectacular hiking in Japan! Indeed Frank, when I first came to Japan it was a surprise to witness the beautiful scenery and would definitely recommend a visit here someday. I’ve heard some good things about the Kii Peninsula in Wakayama though personally only travelled as far as Shirahama beach. Much appreciated Gary 😉 It was a bit of a challenge narrowing down the list to twenty-five and tried to focus on aspects I would have liked to have known when starting out. As for the free mountain huts, there are actually quite a lot and you’re right a list / map could be the makings of a future post. Thank you for the links Ted. Nice work, thanks for all the information, i hope one day soon i will go back to Japan to hike as much as i can. No problems at all Marc and pleased you found the information useful. Hopefully you will find yourself hiking here in the near future. Enjoyable sum-up on hiking in Japan. I have lived in Tokyo for seven years and have done a lot of climbing and hiking in Japan. Thanks for the kudos! Enjoy some awesome autumn hikes. We will be in Japan at the end of May, and in general prefer forest hikes over peak climbs… could you possibly point me in the direction of “non-mountain hikes”? Are there any forest walks worth doing? Half- or full-day jaunts through wooded areas, that may include elevation gain, but aren’t peak ascents and/or in areas where there would still be snow in late May? Hi Tim, thanks for your questions. 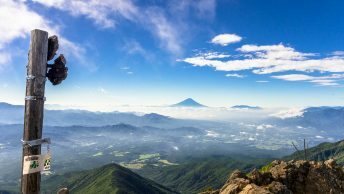 You’re right, many of the hikes on this site and in the LP Hiking in Japan do lean towards the more challenging side, though fortunately there are plenty of easier / family friendly hiking courses throughout the country. It should be noted however, the lower elevation forests tend to comprise plantation timbers and are thus seen as somewhat less interesting. I can really only speak for the Greater Tokyo Area but would recommend checking out the Hinohara Tomin no mori near Mt. Mito, the lower trails around Mt. 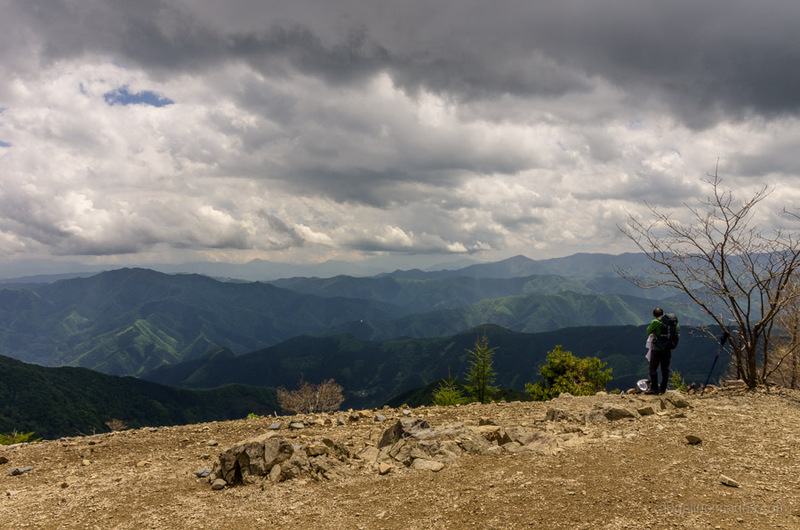 Daibosatsu in Yamanashi Prefecture and hiking up the Kougen Hut an attractive alpine plateau towards Mt. Kentoku also in Yamanashi. As for snow in late May, you won’t find much on peaks under 2,000 metres save for Hokkaido. Great article and extremely useful. I will be traveling Japan this September and was wondering if you have some tips on possible 3-5 day hiking routes either around Nagoya (the Japanese alps ?) or around Sapporo. I am not too keen on setting camp with a tent by myself and find it difficult to find information about huts on the trails. Do you have any recommendations on where I can find some tips and maps (perhaps in English?) on such possible routes and whether or not it is required to book the huts in advance? Thanks for reaching out 🙂 Suggesting a 3-5 day route for the Northern Alps is actually quite difficult and is going to depend largely on your prior hiking experiences. Have you thought about standard Kamikochi – Yari – Hotaka circuit? This is one of classic alpine routes though does require traversing the hugely exposed Daikiretto. Then again, many climbers skip it altogether and scale Mt. Oku-hotaka-dake and Mt. Yari-ga-take as separate 2-day trips. As for Hokkaido I have never hiked up there so can’t really say. As for maps your far better off sticking to the Japanese Yama-to-Kogen 山と高原地図 map series as maps in English are in short supply and not all signs and trail markers are in romaji. While it’s not absolutely necessary to contact the huts in advance its a nice courtesy to do so. I recommend sending an email or have someone ring for you rather than arriving unannounced.